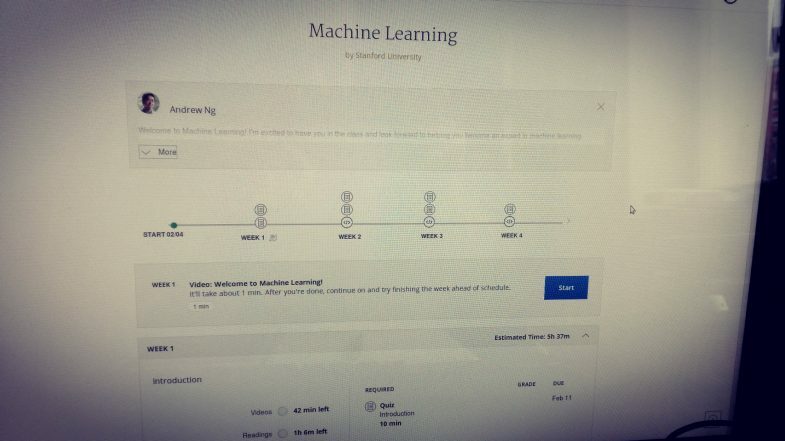 Today starts the logging of research project called Jitakami Research 2019. Basicly it consists of three big blocks – two of them running serially, and one in parallel to the two. The research part, for which I applied to a work stipend on cultural ministry (still pending, and probably will continue to for some time) consists of study and research from now up until the summer. In parallel, the idea is to produce a perfomance/installation at BitShift program at Kapelica gallery sometime in April – currently called Raglain, and then work on the second phase (AUTOCOM) that would presumably be shown in Linz. 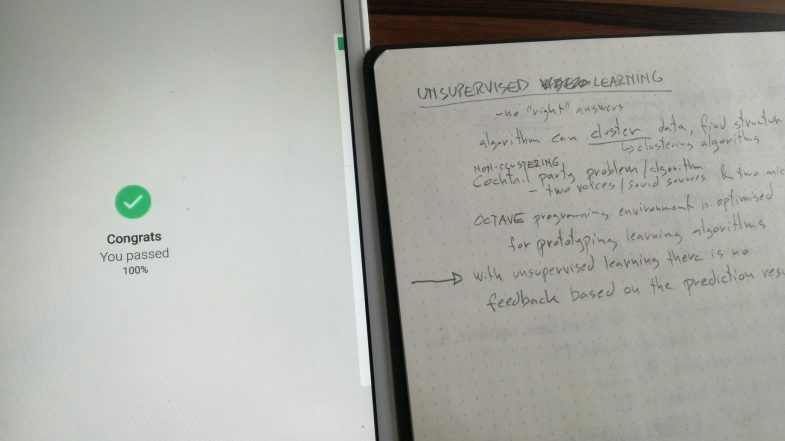 interviews with artists and curators – those who work on the field of art, technology and science – I’m especially interested in artistic methodologies and how to concpetualize and ultimately present/situate/publish an artistic work – even if it’s processual or research-based. For Raglain I hope to arrive at a Jitakami prototype, small, quite basic, but working and conceptually clear and readable. To exhibit it in some way, and to perform with it too. I’m not sure how far AUTOCOM phase will go, but I hope to incorporate more ideas dealing with instrument autonomy and just-in-time audio-visual composition. Perhaps there could be a third phase for 2019 where I strive for a milestone at the end of November, of release of actual Jitakami machine. 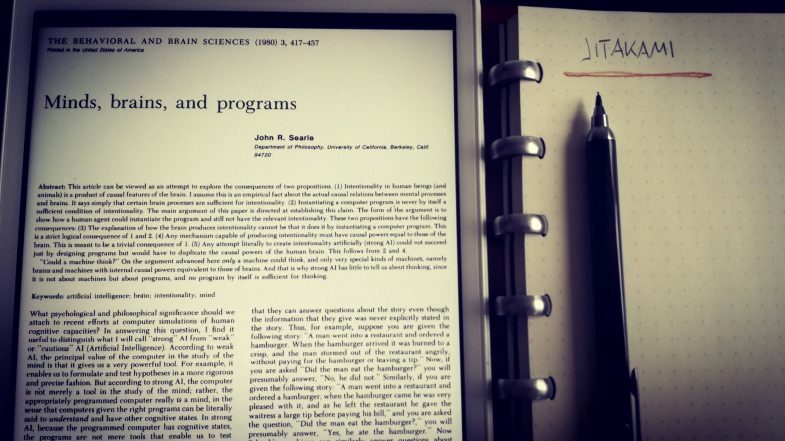 But, today I start with a book: “John R. Searle: Minds, Brains and Programs” and seeing if I can get into the Machine Learning course on coursera (it started last week – this is already week two). I need to meet with people from Galerija Kapelica to discuss more precise details of Raglain and AUTOCOM timelines and budgets, so that’s a phone call I need to do today. 10:28 – Kapelica meeting setup for Monday. 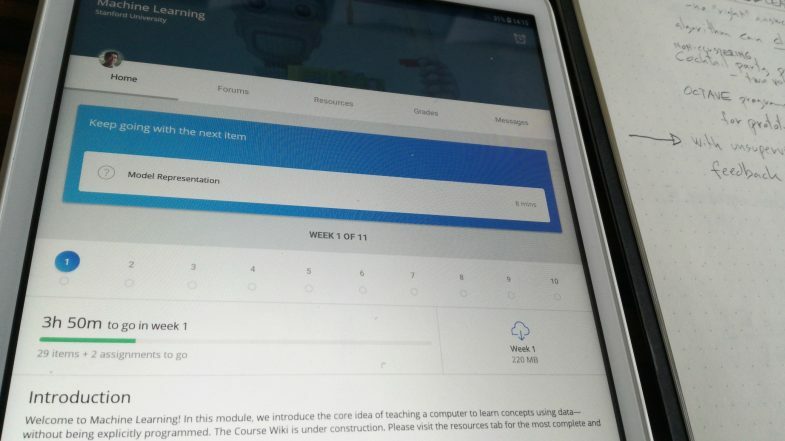 And coursera course can be moved to your own starting week.